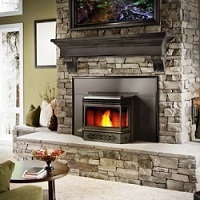 Pellet Stoves and pellet stove inserts in the Seattle & Tacoma area are unique in nature. These stoves are mostly self-igniting and are controlled by a thermostat. These stoves can be equipped with remote controls. Recent innovations have created computer systems within pellet stoves which can be used to check various safety conditions and can be helpful to run various diagnostic tests if problems of critical nature do arise. The pellet stoves in the Seattle and Tacoma region are typically used as a supplemental heat source for a large living area. Thus it saves on the cost and is efficient also. With the warm glow that comes out of a pellet stove, any resident in Seattle & Tacoma communities can keep the ambiance of their homes warm and comfortable. The installation of such a stove, and pellet stove inserts, should be handled with care, and no risk should be taken. The reason behind such a statement is that if the installation is not done in a proper way, then they can release harmful and poisonous gases, as well as allow flames and sparks to escape, leading to a fire hazard. It is difficult to find low-cost options for heating in a state where the cold days outnumber the warm. Much of the Seattle & Tacoma area is surrounded by forest land. The wood-based fuel (pellets) is easily available in King and Pierce County. 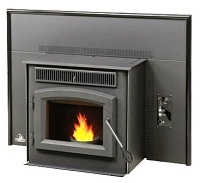 A wood stove requires burning logs, whereas the pellet stove inserts runs on wood pellets. They have a similar look like the traditional stoves but they serve as a steady heat source that can be easily maintained. As we know that pellet stoves use pellets for fuel, there is no need to wait for the logs to ignite. Instead, you can fill a hopper with pellets that will fuel the stove. You can have a pellet boiler installed that will heat your home and water. You can control some pellet stoves with your cell phone. You can text your stove to tell it to start heating up your house before you get home from work. The pellet stoves and boilers do require electricity and attention to detail is a must during the installation process. The pellet stoves should be installed taking in consideration all the safety measures. The fact remains that the pellet stove burns wood pellets and, where there is fire, safety needs to be considered. You have to make sure that you have got the right size appliance installed in the right place in your Seattle & Tacoma area home. To get instant solutions and the best repair services for pellet stoves, Seattle & Tacoma area residents can give us a call at (253) 448-3987. 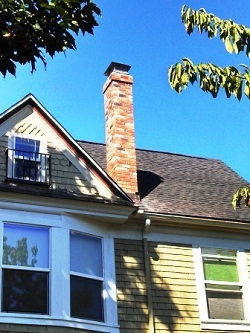 Professional Chimney Solutions Inc. © Copyright 2014 - 2019.